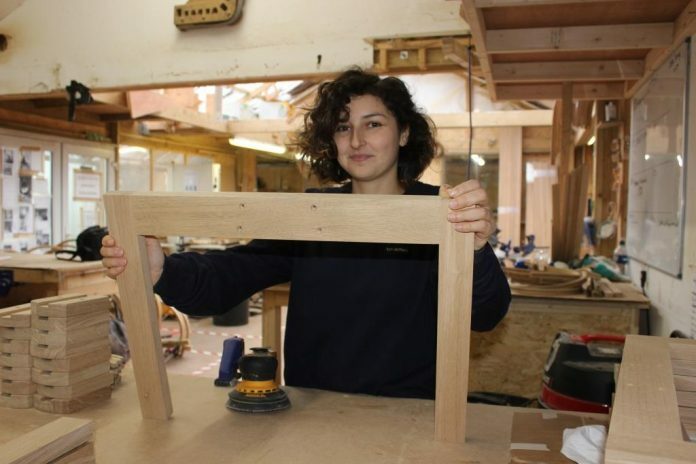 A talented furniture design apprentice is celebrating her rise from packer to workshop manager for one of the UK’s most innovative furniture designers. She was given the opportunity to complete an apprenticeship through Cornwall College while working for Tom Raffield, an award-winning company which designs and makes a range of hand-made furniture and lighting by steam bending a variety of woods from its woodland workshop just outside of Helston. “It’s such an interesting, fun place to work and I have learnt so much from the colleagues that I work with,” she continued. Designer and founder of the company, Tom Raffield, said Safia is “one of the many women leading the charge in what come sometimes feel like a male dominated design industry”. “The energy that our apprentices have on the team is inspiring; providing new ideas and solutions, and bringing enthusiasm to the team,” he added.